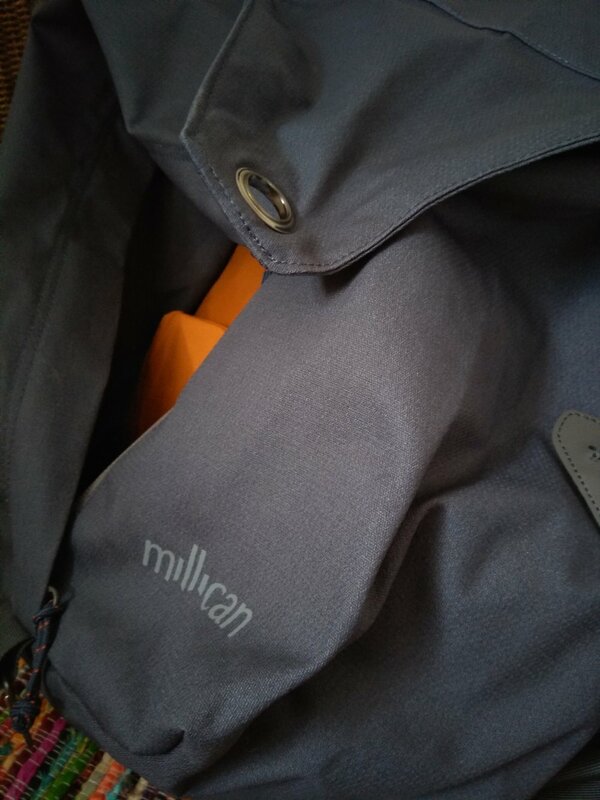 Millican Weekends are a series of stories that celebrate the people making big adventures out of small pockets of time. Throughout the Summer of 2018 I have been exploring an area I've previously visited for work but not explored fully or had time to appreciate the landscape and surroundings - The Brecon Beacons, Wales. The National Park is a popular spot with hikers, climbers, camping and lovers of the outdoors. It's easy to access with plenty of wild spots so what isn't to love? Up until this Summer I had only been to the East side of the park around Pen y Fan and Sugarloaf for Duke of Edinburgh Expeditions, so I wanted to get out and see it for its true wild side and get off the grid on a photography expedition with a few fellow photographers. Every visit here has brought new conditions and locations, making each visit all that more special and unique. A wild camp on Pen y Fan under the Full moon, followed by a day’s trek across the Fans in the West to Fan Brycheiniog and Llyn y Fan Fawr or a wander around Brecon and Llangorse Lake all whilst enjoying the sunshine or atmospheric clouds rolling in over the mountain tops. This trip was going to be similar to my previous, driving up Friday afternoon after work find a spot to sleep and spend the next 48 hours wandering the mountains, valley's and night sky, this weekend’s challenge was to capture the Perseid meteor shower amidst the heavy rain forecasted. A challenge that a few of us gladly accepted to get out and make the most of this small window. The weekends plans changed a few times as the weekend got closer and the weather slowly deteriorated. The original plan was to camp on Fan Gyhirych Friday night, followed by a day in the valley's exploring the waterfalls and woodland to return back to Fan Brycheiniog and Picws Du and finish off on Sunday with a visit to coast at Rhossili Bay. Our new destination to get the most of this small window was to return to Pen y Fan and stay on Cribyn to have the view of Pen y Fan as our foreground in hope the display would be a good one before a weekend washout. The drive over to Wales was a lot harder than wished for, a total 4 and half hours on the road when a usual run is 3 hours so when I arrived at Pen y Fan the light had pretty much gone so the chance of catching the sunset had gone so it was now a case of run up the mountain to find the others, pitch up and find a suitable spot to perch in for the night for the big show. That night was bitterly cold, it didn't feel like a Summers night like previous camps but more a Winter camp! Biting cold winds meant we were all wrapped in 5 layers trying to keep the cold out, all trying to find ditches we could huddle in with the camera set up over us just to try and keep out of the wind. It was a long cold night but a fun one, regardless if we managed to capture the meteor shower or not. The shower was well worth the long journey, even just to spend it in good company. After a few mere hours sleep, I was the only one to wake for sunrise at 6am. It was a nice surprise. Very still but remaining cold, it was a relief that the wind had finally dropped but feared it this wouldn't stay for long so made the most and quickly climbed up Cribyn to see what views awaited during golden hour. The view that welcomed me at the top was warming, the five layers I still had on from the previous night to keep warm, quickly came off as the mountain tops erupted in bright pink. As I turned the few clouds in the sky caught and our little camp looked mighty impressive under the shadow of Pen y Fan. Another turn back round I could see the valley was full of small inversions with each pocket of cloud slowly glowing bright orange as the sun slowly crept over the top of Waun Fach in the distance. The view was delightful but fleeting. As quick as the sun came up the cloud rolled in behind us and our view of Pen y Fan and the valley below became a curtain of white. Where had our mountain view gone? Our mountain view and our slow morning had been ruined. We knew it was only a matter of time until the rain would arrive. As quick as the tents went up, they came down just as quick to keep as much of our kit dry and get of the mountain before we got soaked ourselves. The walk up the previous night didn't feel too bad but this morning after a lack of sleep the reverse was a lot harder. It was a very slow trudge back down Cribyn and up Pen y Fan. I was so glad about the comfort and weight with the duffle! I was so thankful. As we climbed over the last lip of Pen y Fan we could see down the side and could see the car park, my little red car was stood there glowing as a little beacon. It was the final hurdle and we knew this meant breakfast, coffee and shelter from the rain, but this wasn't the end of the weekend yet. The next part of the weekend was to continue on to the Four Waterfalls at Ystradfellte, I wanted to do something different to the usual climbing across the mountains that I had previously experienced on past visits. This was a chance to get in to the woodland and valley's and see a different side to the Brecon Beacons. Now the rain had arrived I knew whatever time I spent outside was going mean being wrapped in waterproofs and dodging the rain drops. Not an issue as the four waterfalls was covered for the majority of the walk, minus the waterfalls themselves. Despite the poor weather the area was still packed! I was queuing to get down steps or to take a photo of the waterfalls. I expected this in good weather not in the rain so what on earth it's like during sunshine I dare to think but I'm glad I still went even with the poor weather. Exploring the high routes further from the river was the best decision, getting off the main track meant it was quiet and you had to be mad to scrambling along this top valley walk with the wet. It lacked the fence line and wide paths, numerous points I was on all fours to climb up the rocks or roots drabbed down. The final waterfall took two hours to get too and was the one of the main points I really had in my head to try and get a good photo of but it was also the busiest of the four waterfalls. In any attempt to hide the crowds I knew I would have to sit in the centre of the river and have the shutter open for a long time, so I crafted myself a temporary shelter for the camera and set up shop for the next 30 minutes as I left each photo to expose for 5 minutes a time. With a coffee in hand and watching the crowds lining up for their photo in the falls it dawned on me why no one cared about the rain. They were here to get wet and sit in the falls and grab that iconic photo as the falls crash over their heads. It was funny watching the family’s careful step through the river trying to avoid getting wet but then would sit behind the falls and get soaked anyway. There was only so long until the cloud rolled in and even hiding under the canopy’s and in the valleys was going to keep me dry. It was time to head out and find some respite from the rain and mud but where was difficult to find now. Most of the country was covered by thick cloud and experiencing this rain so the only place I could hide was my car. The walk out of the valley gradually got wetter and wetter but I was determined not to let the weather put a dampener on weekend and remaining location I wished to visit. Rhossili Bay, not in the Brecon Beacons but down on the coast near Swansea. It's been a popular spot for tourists to visit because of the fields of Sunflowers by the bay but in this weather I'm not sure why I thought this was going to be a good idea to go down to the coast, but I went regardless of the rain and wind. The drive along the M4 down to the coast was interesting and slow, much of the view was just spray from other vehicles and once off the motorway and in to the countryside once more. The dried, scorched land from the heatwave was now just mud and water. Roads were slowly flooding and at points I thought this was the end and I wouldn't be able to drive any further but through the flooding and fords I eventually made it to the bay. I dare to open the car door to begin the search for the Sunflowers. The wind and rain battering down on the side of the window was off putting to say the least. In my head the same question kept going around - Why are you doing this? But I was determined not to let a bit of rain stop the weekend I climbed out of the car, grabbed the jacket and camera and began walking down to Worms head to see what the beach had in store. You could see little but sea mist and cloud. Taking the camera up to my eye every so often to see what could be salvaged, resulted in the lens becoming soaked. Despite all the poor weather, the beach was a live and busy. Out of the mist you would see brightly coloured wet suits and boards appear along the shoreline as they braved the sea. I guess if you're going to get wet you might as well make the most of it. Eventually making it to the causeway down to Worms head, you could just see the old coastguard station and island appearing out of the mist. Standing still for the brief few minutes struggling to stay up right against the wind you could see the gulls struggling to stay in the air. Now soaked through and struggling to stay warm it was time to give up and return back to the comfort of a warm car. Struggling to see the village from the walkway I knew my climb up Fan Gyhirych and back Picws Du will have to wait for another visit when the weather would be kinder, and you could see past 10 metres. Rhossili Bay was the final stop with everything soaked to the bone and left feeling washed out and exhausted it was time to admit defeat and return home. It had been a great 36 hours in the National Park with every weather condition crammed in to this narrow window, whether I managed to capture the meteors or not the weekend had been a success regardless and despite the weather it was good to be out and do something different. Having been spoiled on the past trips it was about time I saw the park in the poor weather, but it hasn't put me off visiting in the future.